Improves hand-eye coordination! the Playmaker 3-in-1 foosball multi-game table will keep your kids entertained for hours. This multi-game table features three awesome games in one. Kids will enjoy a fast-paced game of competitive foosball, kick a game-winning soccer goal, or drive the ball into the net with a buzzer-beating slap shot. Each game promotes hand-eye coordination skills, all while having a tremendous amount of fun. This gaming system is very compact, making it an easy fit for any room in your home. Quality features abound in the Playmaker game that you've come to expect in the Hathaway line of game tables. 180-Day limited warranty. 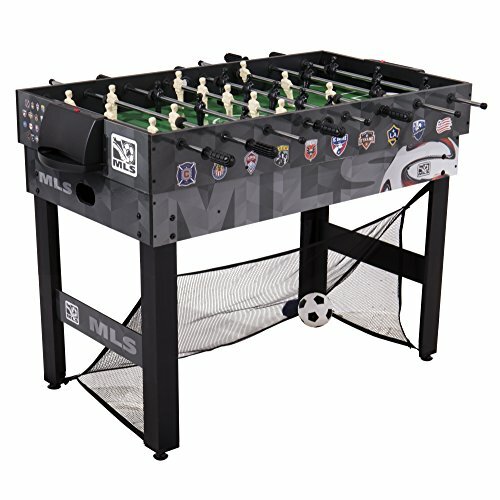 This 48-Inch 3-in-1 approved and officially licensed by MLS Soccer Table is perfect switching back and forth between sports! Fast paced soccer can be played three ways on this solid table! Play push soccer for hours, then switch to table soccer/foosball, and finish with floor soccer! 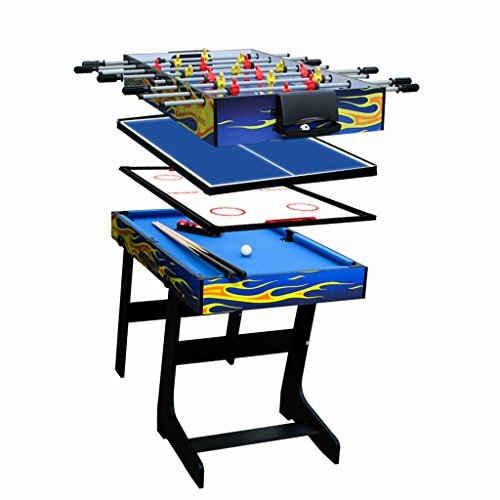 Ideal for any gathering, this 48" table brings the action and excitement of foosball style table soccer, push soccer, and kick soccer to your home - everybody will want to play. The table's eight 15mm hollow steel rods with chrome finish feature ergonomic grips for comfortable use while you battle it out with your friends and family. When a goal is scored, the ball return gets the ball back to you so the game can continue. Easily keep track of score for all three games by using the manual scorers on each side of the table. This table includes two 36mm soccer balls, a mini soccer kicking ball, and 2 pushers. Leg levelers are included to ensure a consistent level playing field. 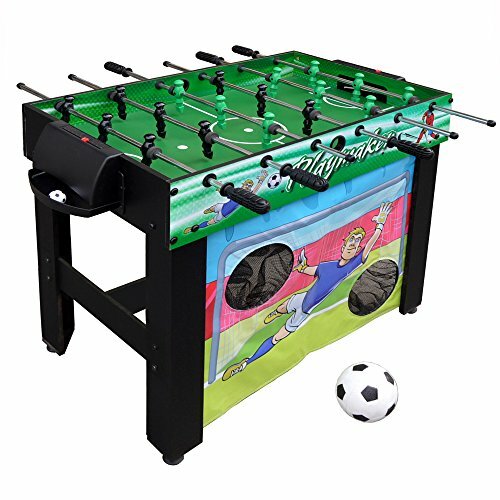 Be the envy of your friends with this fun and attractive 3-in-1 MLS Soccer Table! All of the fun, action-packed features of this game exhibit why Triumph Sports products are always a favorite. 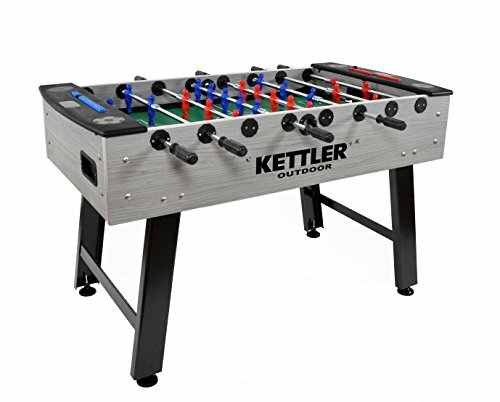 Enliven your weekend get-togethers with the Monte Cristo Foosball Table by Kettler. 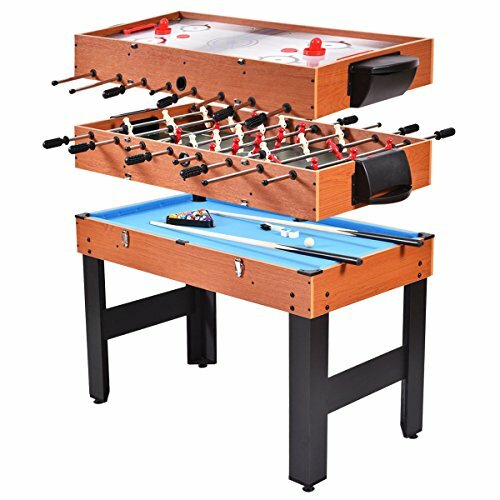 The Monte Cristo foosball table's laminated wood finish and clean black frame adds a touch of elegance to your game room while providing durability you can depend on. The side and corner rails guarantee non-stop action and the rust-proof, steel telescoping rods ensure safe play. Whats more, the Melamine surface, unbreakable molded foosball players, and nylon bushings ensure increased playability. 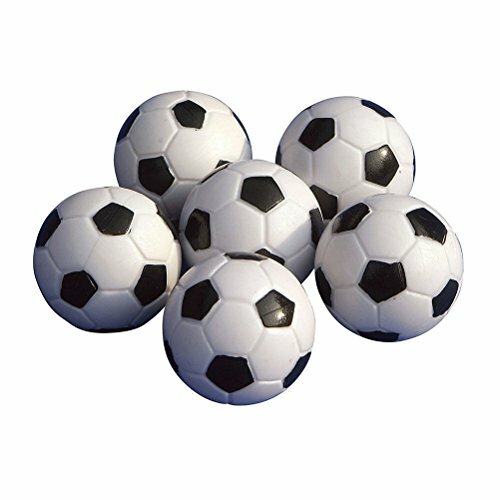 Moreover, with the integrated ball drop and ball pockets behind both goals, you and your friends can keep the game going smoothly. Manual score counters made of resin help you keep track of your goals while the integrated leg levelers ensure a flat, smooth playing surface. On top of all that, this soccer table comes with 5 free foosballs and a table cover to keep your gameroom equipment safe when not in use. Order yours today! Shipping is FREE when you buy from Dazadi. 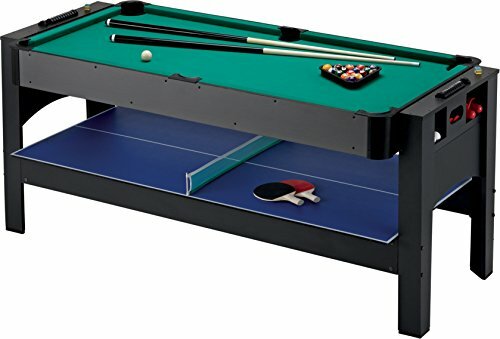 MD Sports 48 Inch 3-In-1 Combo Game Table, 3 Games with Billiards, Hockey and Foosball from WalMart. 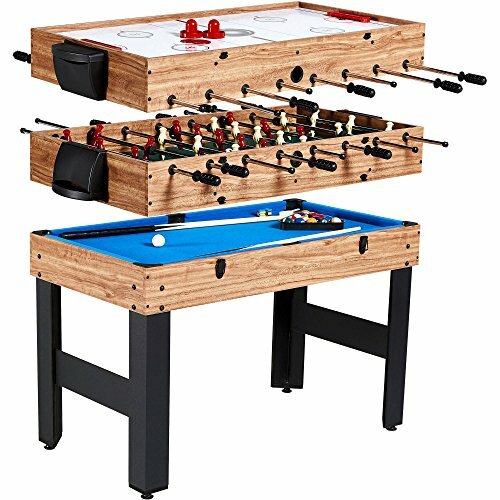 Compare prices on 3 In 1 Game Table Foosball at ShoppinGent.com – use promo codes and coupons for best offers and deals. Start smart buying with ShoppinGent.com right now and choose your golden price on every purchase.